Your Park Slope general and family dentist, Dr. Frank Sapienza, believes that what happens in your mouth improves or harms your overall health, well-being and self-confidence. So, he advises twice yearly dental exams and hygienic cleanings for all his patients as the best preventive oral health measures. Dr. Sapienza looks for dental cavities, proper bite and jaw function, condition of restorations, gum disease (gingivitis and periodontitis) and oral cancer–a grave threat to the well-being of people across the globe. This Park Slope family dentist understands that over time, small dental problems become big dental problems that can compromise other parts of the body such as the cardiovascular system. Even deteriorating restorations, such as porcelain crowns and dental fillings, and misaligned dental bites, compromise oral health and systemic effects. Misaligned teeth and bone structure often lead to headaches, jaw soreness, sinus problems, neck and back pain and other maxillofacial issues. The team at the Dental Spa of New York recommend semi-annual dental cleanings for all patients. Cleanings remove sticky plaque and tartar that harbor disease-causing bacteria. Gum disease is the number one cause of tooth loss in the United States today. Deep tooth scaling and root planing smooth root surfaces, allowing gum tissue to re-attach. The Park Slope general dentist often instills antibiotics to cure the infected areas, or gum pockets. In addition, patients of all ages must practice careful dental hygiene at home. For children through adults, the American Dental Association advises brushing with a fluoride toothpaste twice daily and flossing between and around teeth once a day to stimulate gums and to remove the plaque and food residue that toothbrushing by itself misses. Combining good oral hygiene with a nutrient-dense, balanced diet creates healthy smiles that last a lifetime. Less sugar and more lean meats, fresh fruits and fibrous vegetables, whole grains and low-fat dairy products help teeth and gums stay intact and thrive. Good eating habits translate to better systemic health as well. Don’t postpone your dental check-ups and cleanings with Dr. Sapienza. 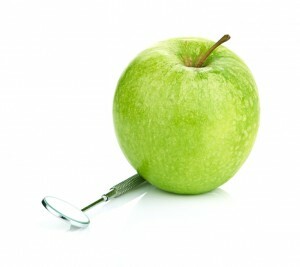 Preventive dental care does more than care for your teeth and gums. Not only will your smile thank you, but the rest of your body will as well. 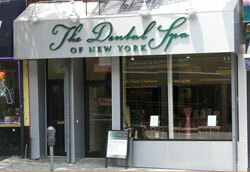 Contact the Dental Spa of New York, and arrange your routine exam and cleaning. You’ll feel better for it.